Bill is married to Jennie and has two children: Neil who lives in Melbourne, and Laura who lives in Peebles with her husband Aegir and their three kids. 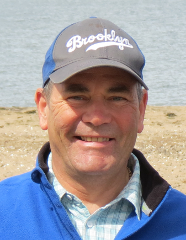 Bill came to faith during an Alpha course in Penicuik in 1998. He led the Sunday school and became an elder at Penicuik South Church of Scotland, before moving to Selkirk Baptist Church as a stepping stone to Peebles Baptist Church. Bill and Jennie were baptised together in 2014.